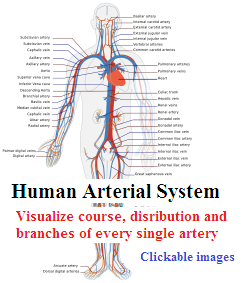 The pulsations of the artery can be felt within the carotid triangle located at its origin. Initially the artery is located medial to the internal carotid artery but as it moves upwards in the neck, it travels backwards and laterally. The stylohyoid and posterior belly of digastric cross the common carotid artery. The anterior border of sternocleidomastoid overlaps the artery at its beginning. 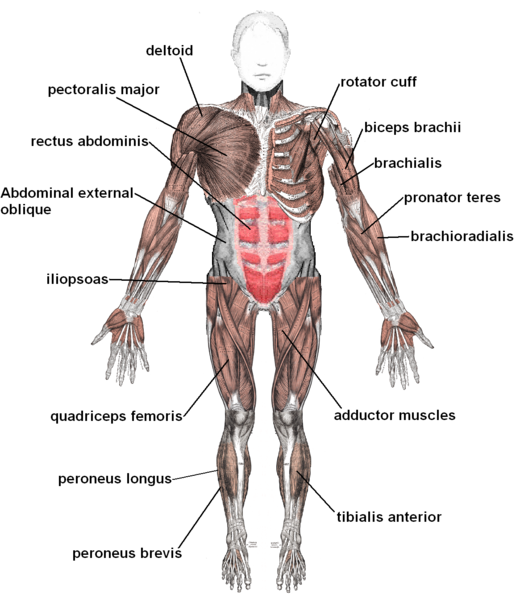 Only skin and fascia cover the artery above this level, as the artery becomes superficial. 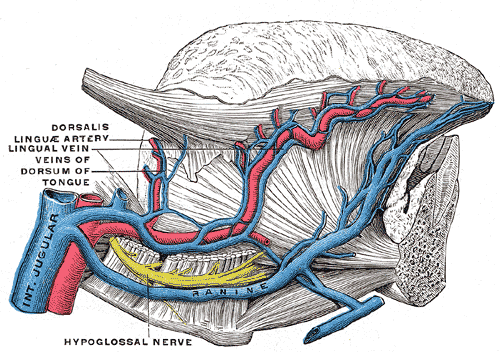 The stylohyoid muscle, the posterior belly of digastric and hypoglossal nerve cross the artery, while the facial nerve crosses the artery within the parotid gland. Initially the internal jugular vein is located lateral to the artery but then it moves posteriorly. 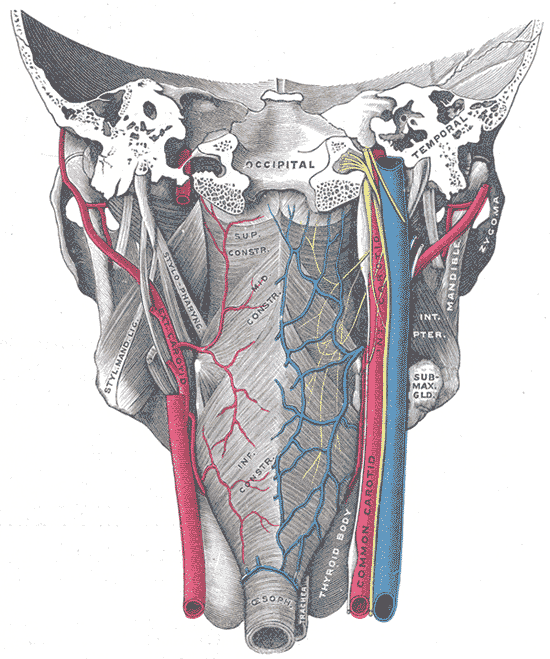 The internal carotid artery and the wall of the pharynx is located medially. Also present between the external and internal carotid arteries are the pharyngeal branch of vagus nerve, the glossopharyngeal nerve and the stylopharyngeus muscle. 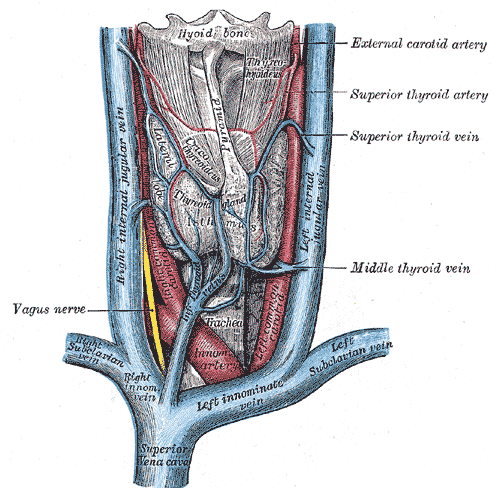 The superior thyroid artery arises near the origin of the external carotid artery. It reaches the upper pole of the thyroid gland by passing vertically downwards. The superior laryngeal artery, along with the internal laryngeal nerve, pierces the thyrohyoid membrane. The lingual artery begins opposite the tip of greater cornu of hyoid bone and enters the submandibular region by looping upwards. This loop of the artery is crossed by the hypoglossal nerve superficially. The lingual artery moves forward deep to hyoglossus muscle and supplies the tip of the tongue. 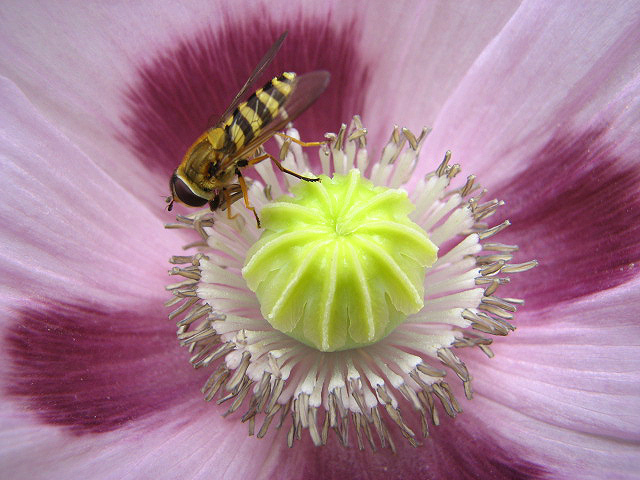 These supply the dorsum of the tongue and are two or three in number. 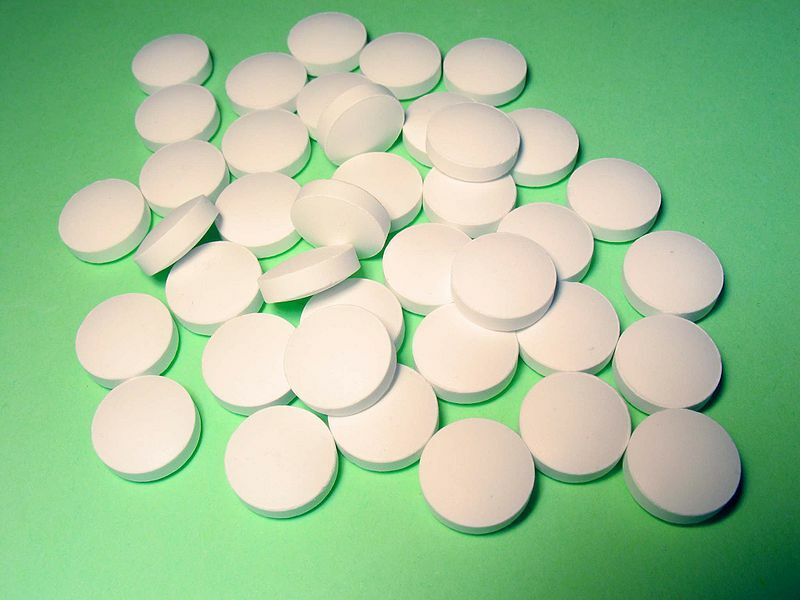 As the name indicates it supplies the sublingual salivary gland and the surrounding structures. Originates just above the level of the tip of the greater cornu of hyoid bone. It supplies the face, reaching the posterior part of the submandibular salivary gland by arching upwards. It grooves the posterior border of the submandibular salivary gland. 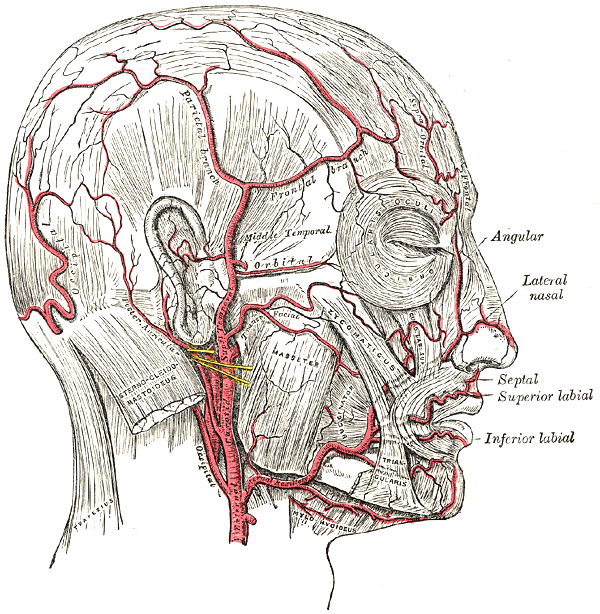 At the anterior border of the masseter muscle, the facial artery curves around the inferior margin of the body of mandible. The pulsations of the artery can be felt here. 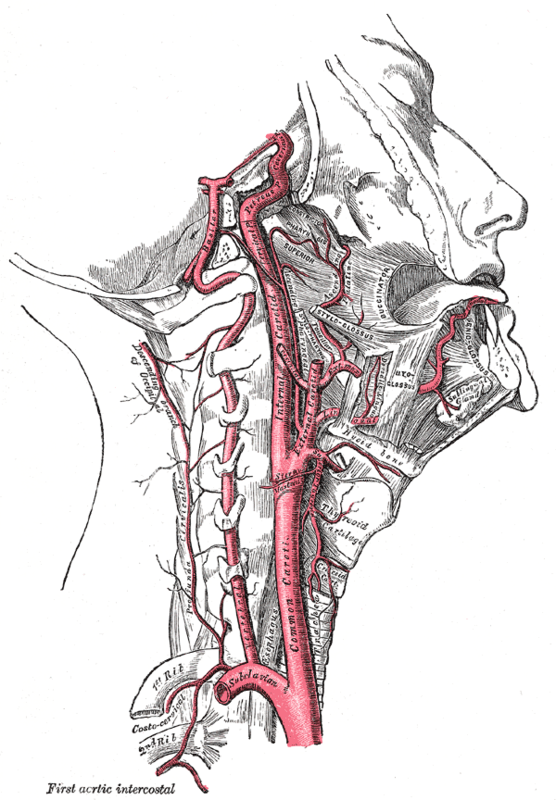 The artery, covered by risorius muscle and platysma moves towards the angle of the mouth by following a tortuous course. 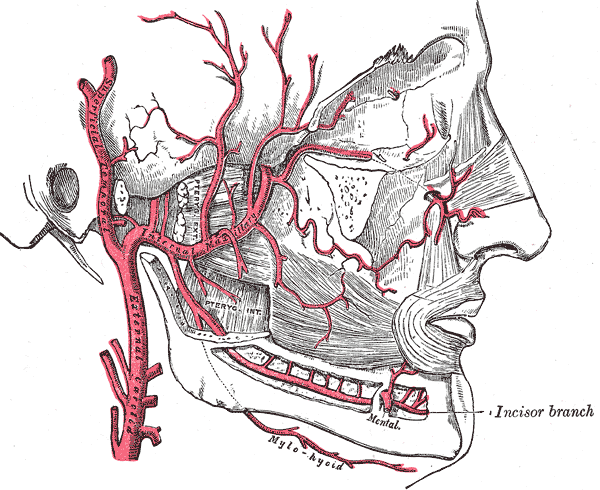 The facial artery moves deep to levator labii superioris muscles and reaches the medial angle of the eye by running along the side of the nose. Here the artery anastomoses with the branches of the ophthalmic artery. 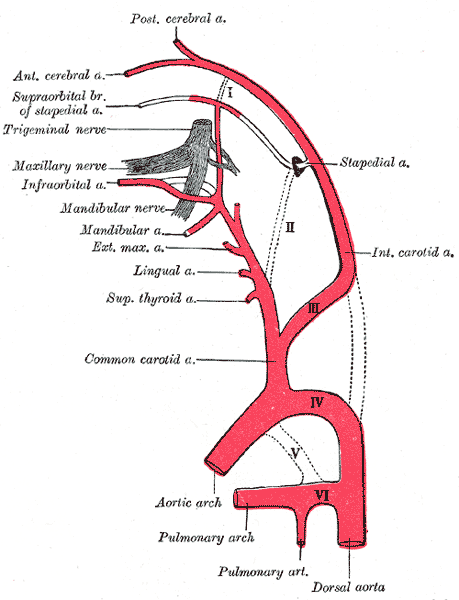 The ascending palatine artery moves alongside the pharynx. The tonsillar artery supplies the tonsil and perforates the superior constrictor muscle. The glandular artery supplies the submandibular salivary gland. Supplies the lip and skin of chin and arises at the lower border of the body of mandible. Supplies the septum and the ala of the nose by arising near the angle of the mouth and running medially in the upper lip. Like the superior labial artery, arises near the angle of the mouth and runs medially but in the lower lip. It anastomoses with its counter part on the opposite site. The lateral nasal artery supplies the dorsum and side of nose originating from the facial artery alongside the nose. The ascending pharyngeal artery supplies the wall of the pharynx as it moves upwards on it. The occipital artery arises just above the level of the tip of greater cornu of hyoid bone, opposite the facial artery. It reaches the back of the scalp by passing upwards. It supplies the scalp along with the branches of greater occipital nerve. The posterior auricular artery reaches the auricle, originating at the level of the upper border of posterior belly of digastric. The superficial temporal artery arises within the substance of the parotid gland at the level of neck of mandilbe. 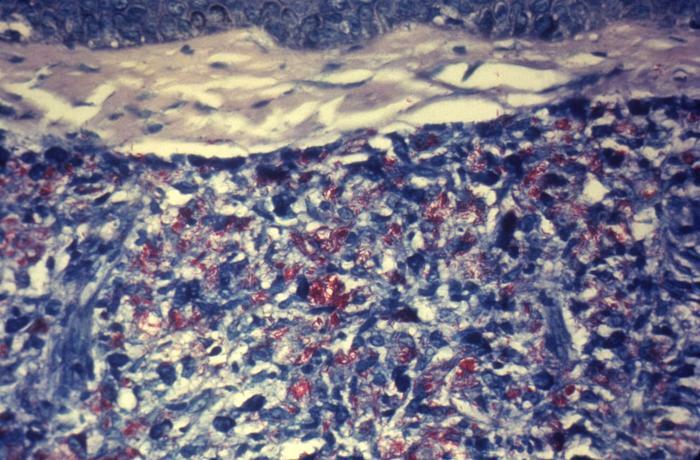 It is accompanied by the auriculotemporal nerve as it moves upwards in front of the auricle. It then divides into two branches; the anterior and posterior branches to supply the skin of the temporal and frontal regions. The maxillary artery arises within the substance of the parotid gland at the level of the neck of mandible. It is the larger of the two terminal branches. It moves upwards and forward, located superficial or deep to the lower head of the lateral pterygoid. It enters the pterygopalatine fossa by leaving the infratemporal fossa, passing through the pterygomaxillary fissure. Here it divides into branches which are accompanied by the branches of the maxillary nerve. The inferior alveolar artery enters the mandibular canal following the inferior alveolar nerve. The middle meningeal artery moves behind the mandibular nerve and it surrounded by the two roots of origin of the auriculotemporal nerve. Passing through the foramen spinosum, it enters the skull and supplies the meninges. 3. Branches supplying the tympanic membrane and the lining of the external auditory meatus. 4. Muscular branches supplying the muscles of mastication.